The Caelia: What Is the Point? What is the point of...? is a question that I have been asking myself a lot of lately. I've recently let go of my YouTube channel for no other reason than, I was just bored or making them, and generally speaking, I'm not that good at making them, which makes it a pain to make them. So rather than keep asking myself "what is the point?" I cut one annoying question out of my life by taking the action to just stop making them. It feels great. That said, I still find myself thinking of things to talk about, or what I could talk about if I chose to make videos again ,but that doesn't even tempt me to start back up. I'm not saying making Youtube videos is never happening again, but I don't really plan on it in the near future. I'm really enjoying this shadow-like inward journey of asking "why bother?". It's extremely care free. More than just removing myself and the videos I made from You Tube, and asking "what's the point of it all?" I've been applying this question to my own practice. I think it should be pretty obvious to check-in with yourself and see if what you are exposing yourself to/experimenting with/interacting with aligns with you. Or, if you're like me, you see something work for someone else so you take it on, and realize later that it doesn't really mesh. Despite being a pretty defiant person, and being really poor at consciously taking direction, I'm really good at unconsciously taking direction. I'm really good at taking on patterns of people I admire (both real and imaginary) and attempting to weave it into my own being; ultimately, I become a really bitter, irritated person, until I wake up on the proverbial wrong side of the bed. 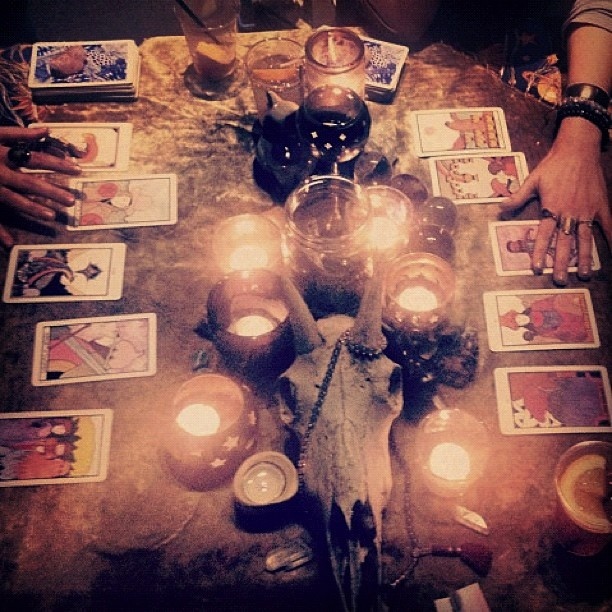 -I'm not that into divination (I just don't see the point, unless you are using it as some sort of self development tool or last resort to some insight. Divination for shits and giggles, just seems pointless). -I'm just not that into the divine Femanine or Masculine - this one I'm still exploring, but yeah I'm just not that into it in an intense way. What I'm trying to say is, I just don't care. -working with a group or a coven, I'm not even that into going to parties, and from what I've seen these things usually turn into regular things. -Listening to others, and not listening to reply. I genuinely love hearing what others have to say and being inspired by it. I'm just learning to not glue it to what I do or what I'm about. Kind of like old quilting b's, you all work together to make a pretty blanket without using the same fabric as someone else. -honouring my conceptions of divinity without naming them as male or female. I guess there is a point.